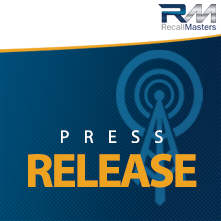 Aliso Viejo, CA, July 21, 2017— Recall Masters, Inc., the leading provider of automotive recall news, data, training, and communications today announced a partnership with Record360, the leading software for digital asset condition documentation and asset condition management, to integrate its real-time vehicle recall lookup into the Record360 app. Dealers, rental agencies and consumers now have enhanced transparency and real-time updates when returning vehicle rentals, and/or during recalls. This also helps both parties avoid unnecessary claims disputes. Record360 offers app-based condition reporting software that allows dealers to automate the asset management component within their rental and leasing departments, by digitizing vehicle conditions reviews. Record360 eliminates the problem of customers claiming damage while their vehicles are in for repair, or claiming they did not cause damage to a loaner or rental vehicle. Last summer saw new legislation passed on vehicle safety recalls, which results in a fine of $5,000 if a consumer is put into a rental or loaner vehicle with an outstanding recall. Rental car agencies must fix any and all open safety defects before renting out vehicles to customers. “Our two companies share a common mission which is to help digitize archaic, paper-based processes still prevalent in the automotive and vehicle rental industry. Processes wrapped around rental returns, and now vehicle recalls in particular, continue to be major pain point for dealers and other stakeholders,” said Shane Skinner, Record360 CEO. Determining recall status during the initial inspection process saves time, reduces friction and prevents unnecessary upsets between dealers or car rental agencies and their customers. It also can help prevent customers being put into a rental or loaner vehicle that has an existing recall that should not be on the road. To learn more about the Record360 integrated solution including receiving a demo or free trial, call 206-489-3290, email info@record360.com, or visit www.record360.com. Record360 is the leading software for digital asset condition documentation and asset condition management. Used by major companies across the globe, including Audi, Avis Car Rental, BMW, Jaguar, Mercedes-Benz, and NationaLease, Record360 brings greater transparency to condition reporting and helps companies boost their bottom line. Record360 was founded in 2013 and is based in Seattle, Washington.​ To learn more about the integrated solution including receiving a demo or free trial, call 206-489-3290,email: info@record360.com, or visit www.record360.com. Recall Masters is the leading provider of automotive recall news, data, training, and communications. The company is dedicated to helping automakers and their dealers expedite the repair of recalled vehicles and make the roadways safer for everyone. Greater recall awareness and proactive management helps automakers protect their brand and build trusting relationships between automotive dealers, rental car agencies, auto auctions and consumers alike. Recall Masters is privately held and based in the Aliso Viejo, CA. www.recallmasters.com.